Here is a list of the most frequently asked questions, but please feel free to hop over to this website – contact us if you have any queries. 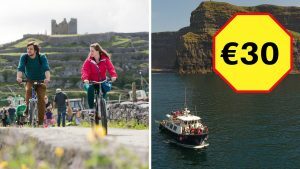 Is there a charge for parking at Doolin pier? No, currently there is no charge for parking at the pier. Do you sail on Sundays? Yes we sail 7 days a week from April to October, unless the weather is unsuitable. 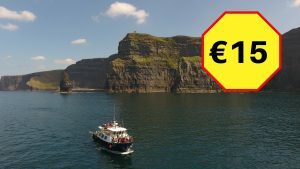 How long is the Cliffs of Moher Cruise? The cruise last about one hour. 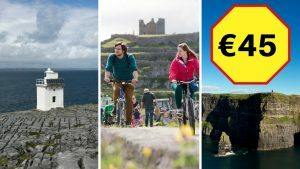 Can I take a bicycle on the boats to the Aran Islands? Yes, we carry bicycles free of charge to the islands. You can also rent bikes on each island. 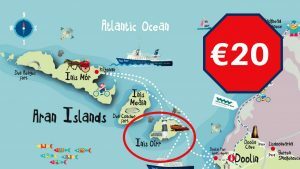 How long would you typically get on Inis Oirr for a day trip? 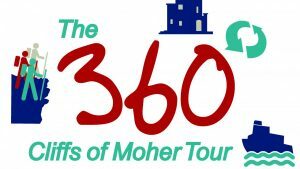 Between 3.5 and 5.5 hours depending on when you leave Doolin and when you leave the island. Can you take a car to the islands? 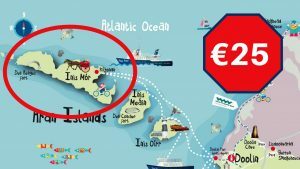 No, it is a passenger ferry only – there are no car ferries to the Aran Islands. To avoid disappointment you are strongly advised to book in advance during peak season. The cruise is only 1 hour long, so it is unlikely that you will be sea-sick. 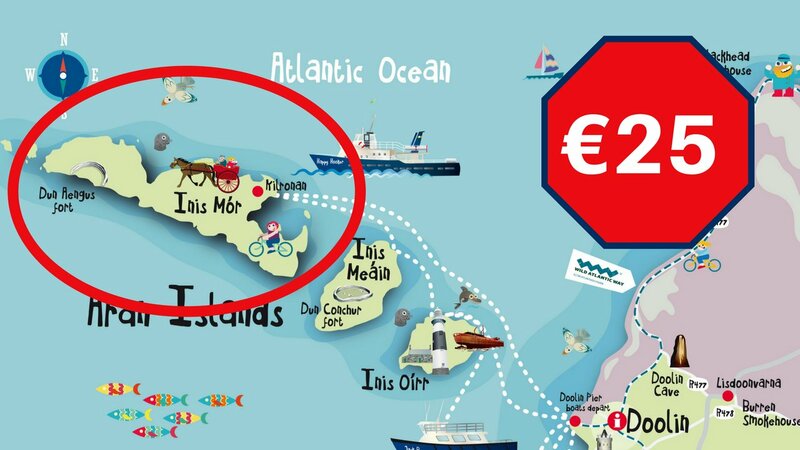 The island trips are 30 minutes to Inis Oirr, 1 hour to Inis Meain and 1 hour 20 minutes to Inis Mor. Here are some tips which may help if you are still concerned. Trips are occasionally cancelled due to bad sea conditions. 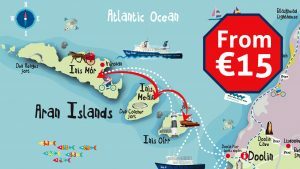 Should this happen, passengers are given the choice of rescheduling the cruise or receiving a full refund.